With an organic, painterly style, Karen Ehart draws her inspiration from nature: sea life, microscopic images, a rock-filled stream bed. The many places she has lived, from the tropics to the desert, have influenced the evolution of her work. Karen Ehart's work is unique in the sculptural quality of her pieces and the unusual surface design. She spends a great deal of time on the original sculpture and the mold-making process. Each piece is individually designed and handcrafted by the artist. 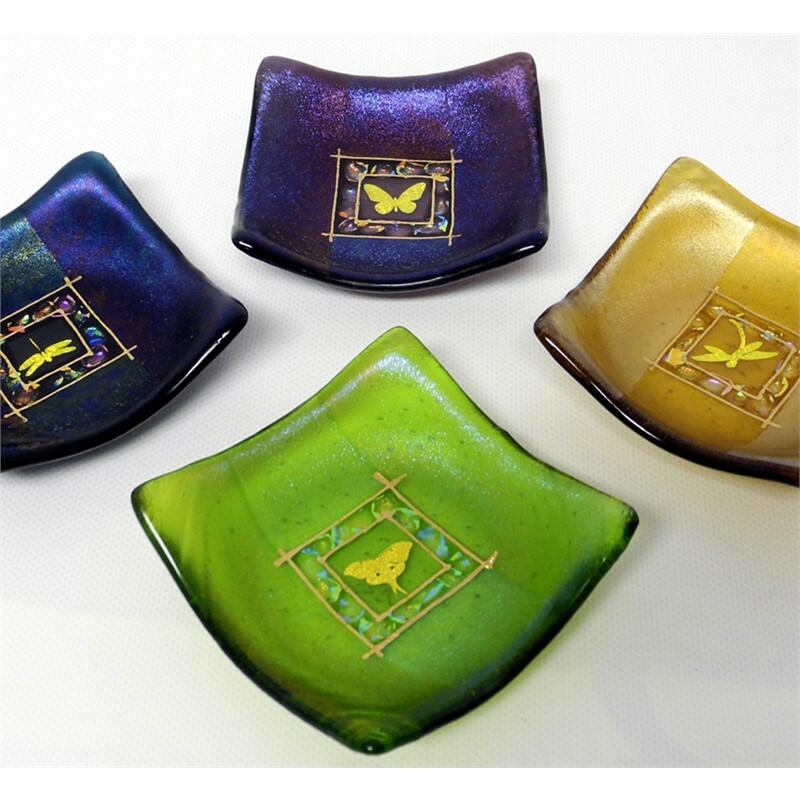 Karen Ehart was raised in a very creative family with diverse skills where craftsmanship was valued and encouraged. She picked up a glass cutter in 1984 and was ruined for any other work. She has experimented with glass continuously, taking workshops and working for major studios while developing her own technique and design style. "I am fascinated with the visual appeal of creating colorful sculpture and useful objects with glass."